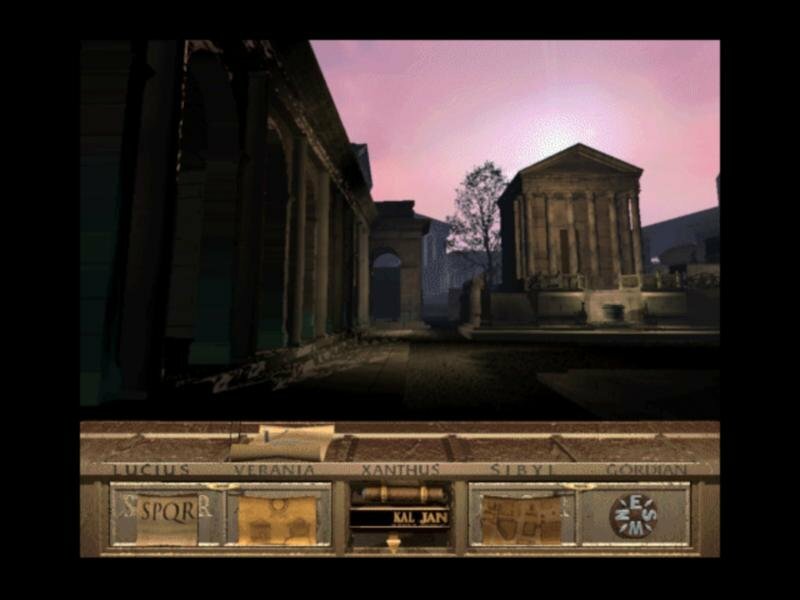 In the year 205 AD, Rome is about to crumble in the hands of a mysterious traitor known as Calamitus, and only you can stop his plans in S.P.Q.R., the latest in a long line of Myst-like graphic puzzle adventures. 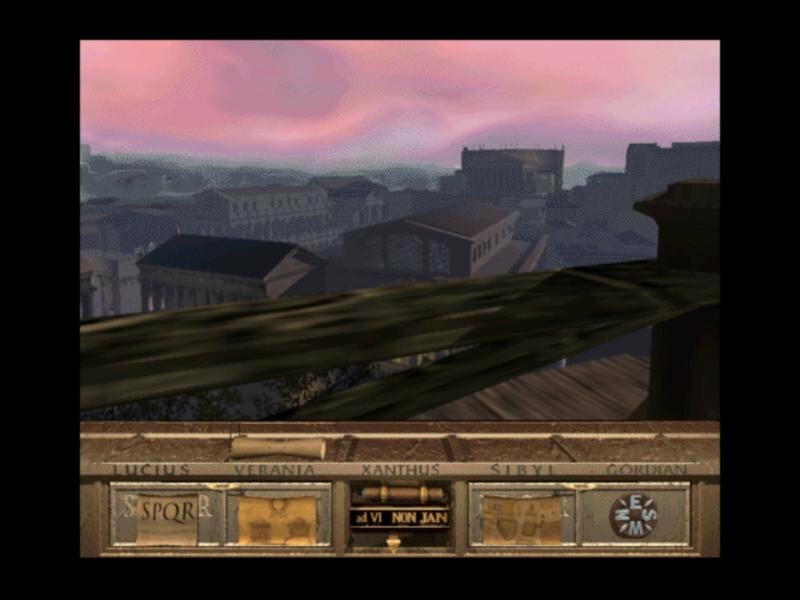 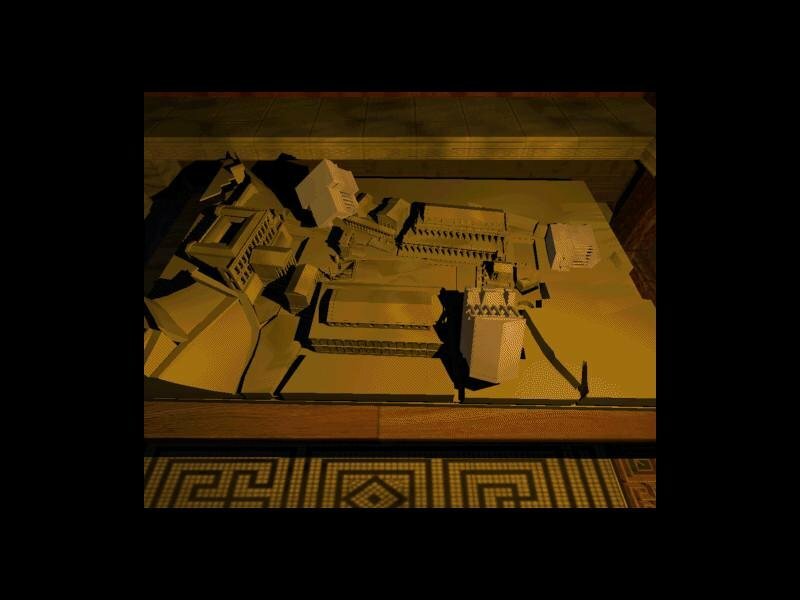 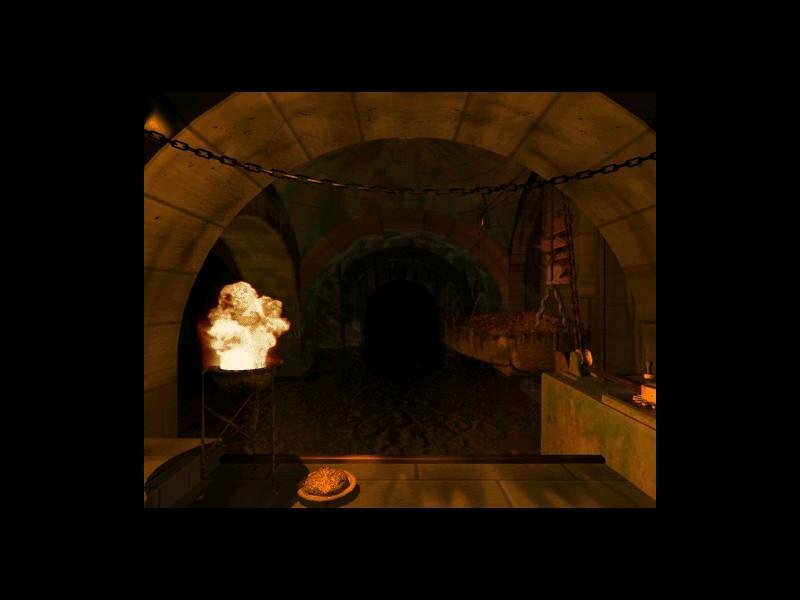 Sporting what is supposedly a detailed recreation of ancient Rome, the game charges the player with discovering the identity of Calamitus from a list of five suspects. 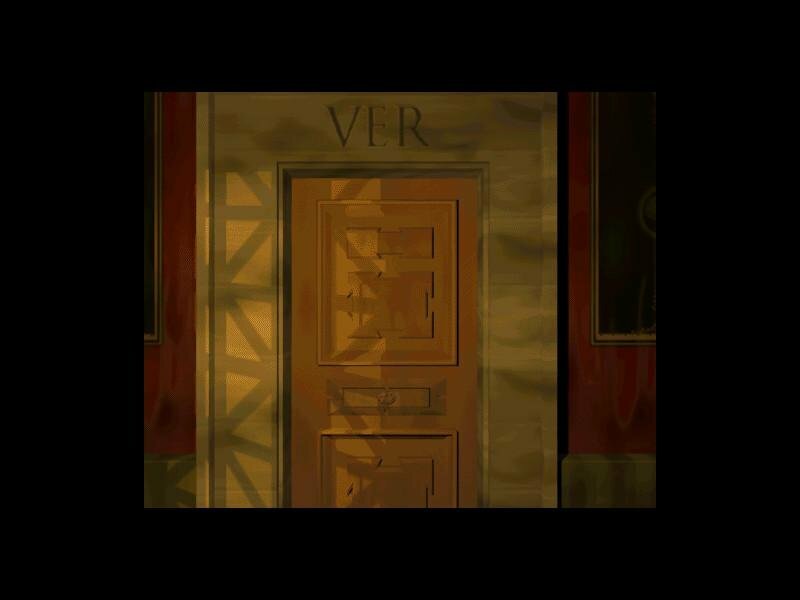 S.P.Q.R. 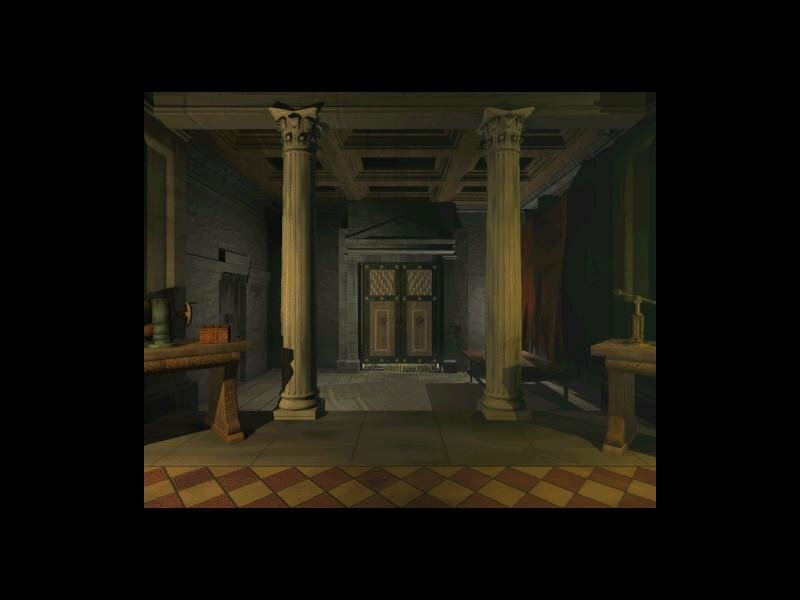 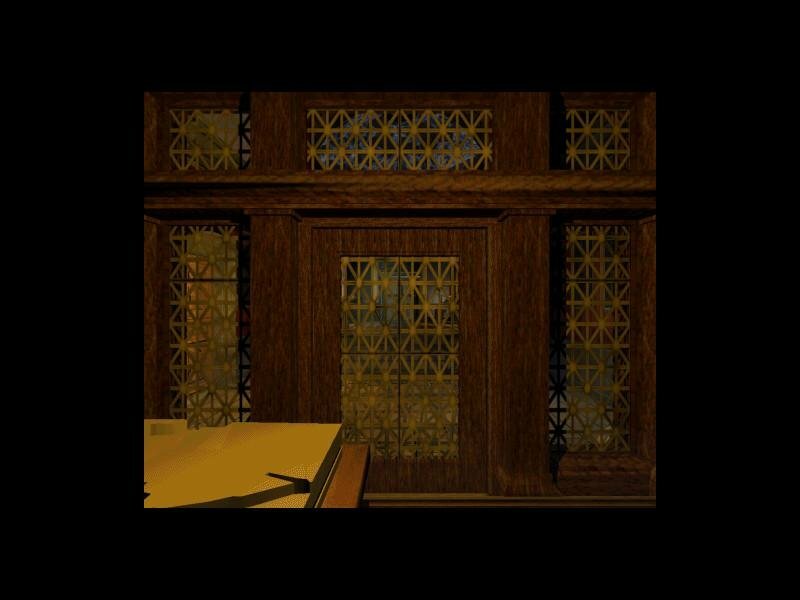 takes place over the course of a single year, in which time you must keep up with the journal entries of the suspects and travel through the streets of ancient Rome in search of puzzles. 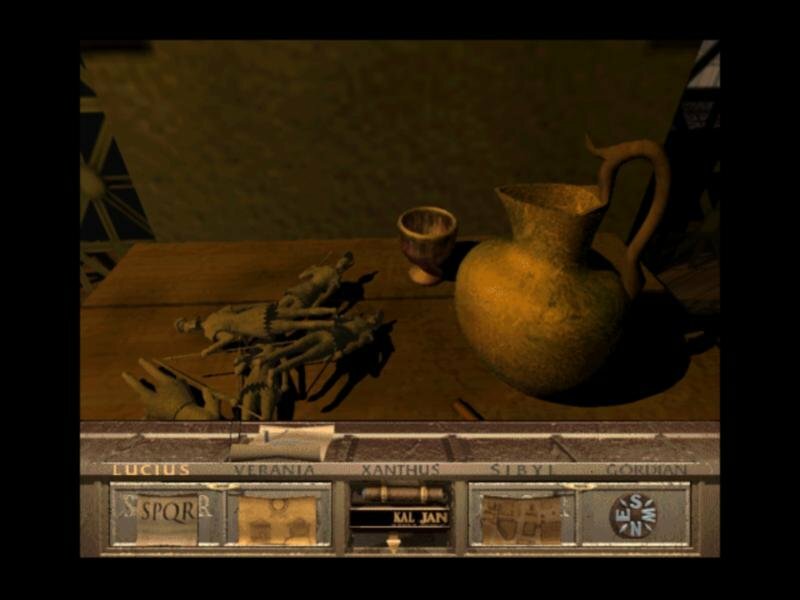 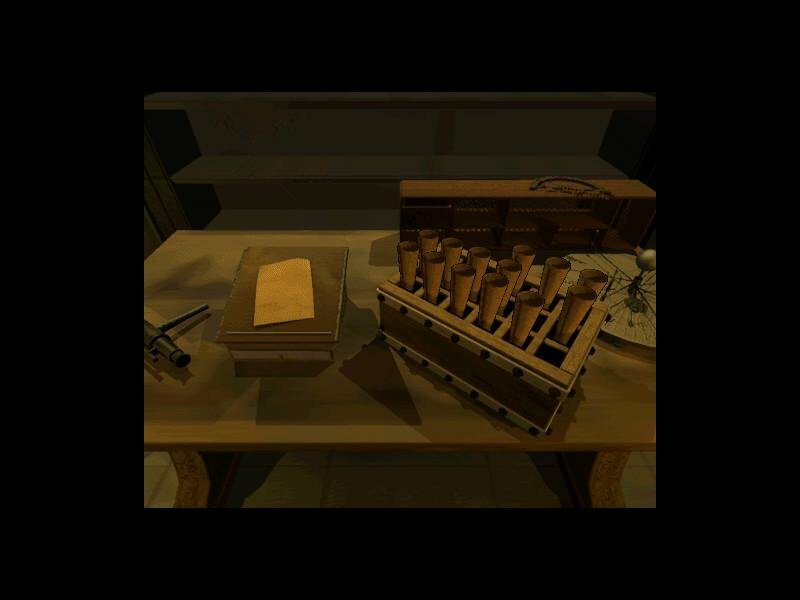 Most of the puzzles are based on aspects of Roman culture and science, and unless you happen to be a historian of ancient Rome, the only way to understand most of the game’s seemingly obscure tasks is to keep up with the journal entries which tend to update at convenient times (once the proper entry is read, the puzzles become much more manageable). 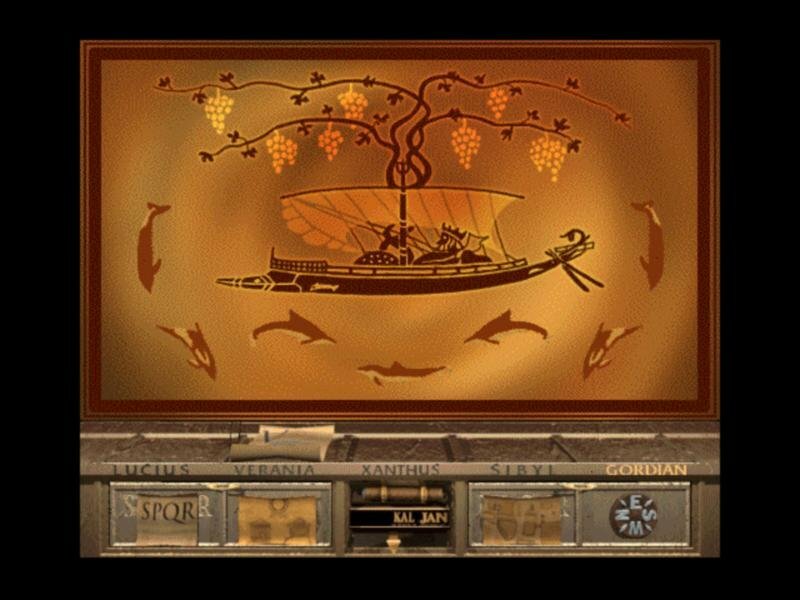 Consequently, there’s an awful lot of reading to do here, and the going can be extremely slow (even for this sort of game). Ironically, despite the fact that S.P.Q.R. 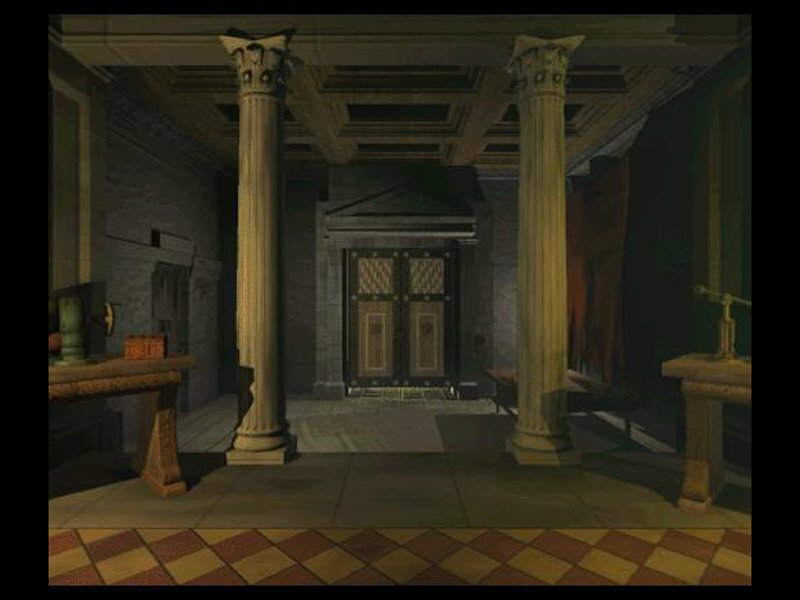 takes place before the fall of Rome, you wouldn’t know it from the way the game portrays the city. The city streets and buildings are all totally devoid of life. 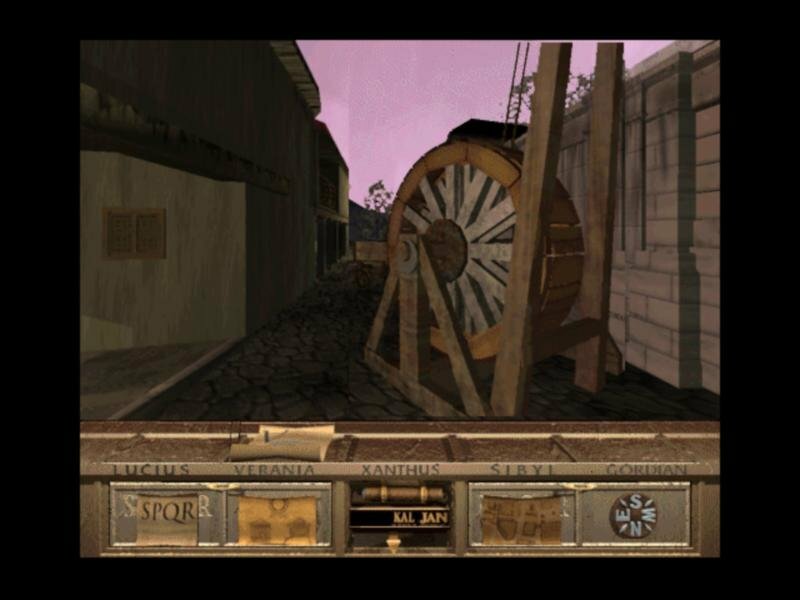 Also, navigating through the city can be cumbersome, since the game has a tendency to move you in confusing directions. 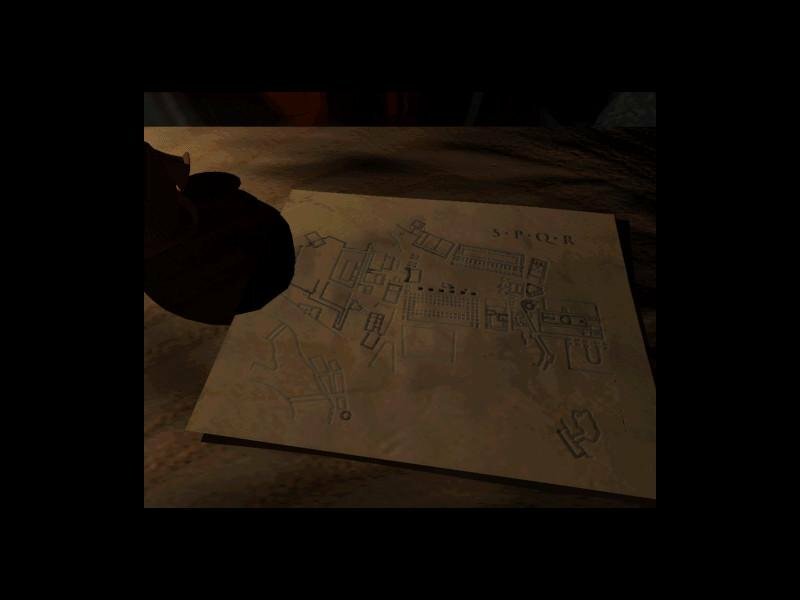 Fortunately, an automap is included. 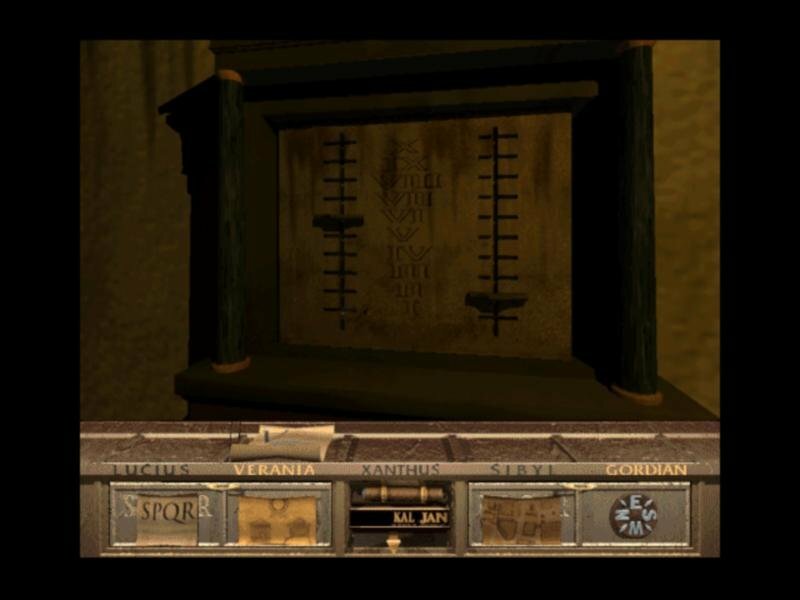 Overall, S.P.Q.R. 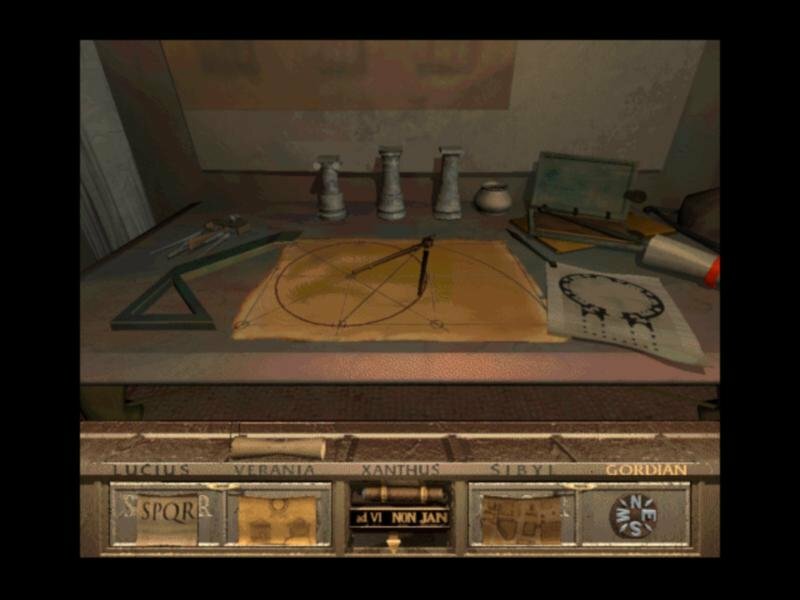 is a bit more slowly paced and intellectual than the usual Myst clones, although it’s definitely not as innovative or visually stunning as other such games (like Obsidian), but it’s recommended for hard-core graphic puzzle adventurers and hobby historians.